For this example we’re going to use the URL version of the page name. 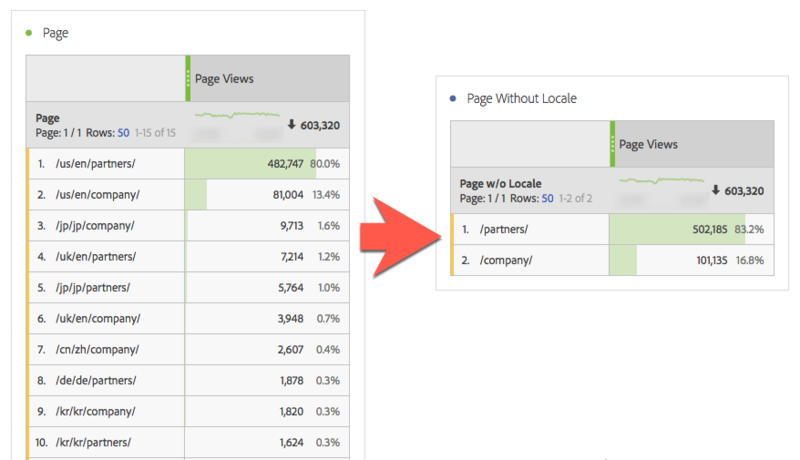 This could have been put in place to provide the ability to see different locales of the same page next to each other. Or maybe it was just the easiest or most practical approach to generate a page name at the time. Suppose that you just inherited an implementation with this setup but now you are getting questions of a more global nature. Your executives and users are wanting information on a global level. At the same time we still have the need for the locale-specific information. In order to meet their needs, you now need to have a version of the pages combined but still have the flexibility to break out by locale. To do this we’ll keep our original report with pages like “/us/en/services/security/super-series” but create a version that combines those into something like “/services/security/super-series/”. This new value would represent the total across all locales such as /us/en, /jp/jp, or any others we have. 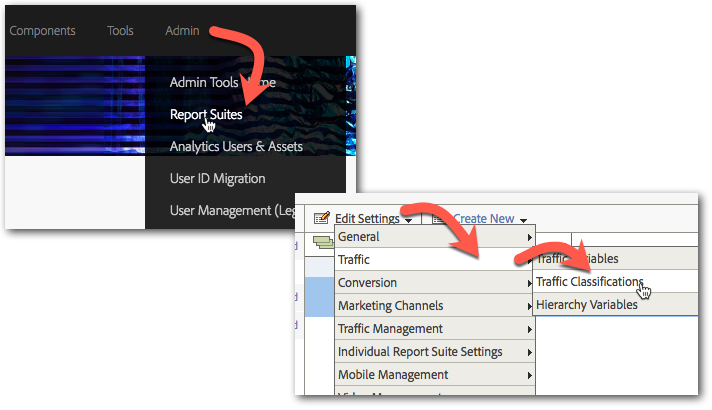 The page variable should show by default in the dropdown of the Traffic Classifications page. From here select the icon next to Page and click Add Classification. 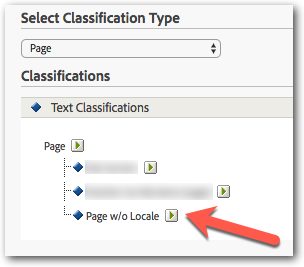 Name your new classification something like “Page w/o Locale” and Save. 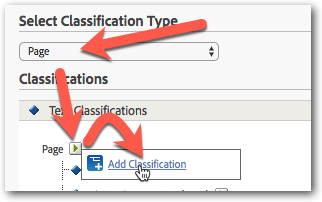 Purple Arrow: this is where you select the report suite and variable where you want the classification applied. In this case we are using the Page variable. Green Arrow: when this process runs for the first time this is how long it should look back to classify old value. For something like this I would select the maximum lookback. On future runs it will just use a one-month lookback which works great. (. *) This will simply classify all pages with the original value. I’m doing this because many sites also have non-localized content in addition to the localized URLs. This ensures that all Page values are represented in our new report. ^\/..\/..(\/. *) This expression actually does something for our localized pages. There are several ways to write this expression but this one tends to be more simple and shorter than others I’ve thought of. This will look for values starting with a slash and two characters, repeated twice (e.g. “/us/en”). It will then extract the following slash and anything after that. That means it would pull out the “/services/security/super-series/” from “/us/en/services/security/super-series/”. If you have copied your page name into an eVar (hopefully so) then be sure to set up the same classification there. If the Classification Rule Builder already has a rule set doing something for the page variable then you may need to add these rules to the existing rule set. If you want to remind users that “Page w/o Locale” has the locale removed you can also prefix the new values with some value that indicates the value was removed. That might be something like “[locale removed]” or “/**/**” or whatever works for you. To do this you would just use “[locale removed]$1” instead of “$1” in the second rule of the rule set. What’s Takingg place i am new to this, I stumbled upon this I have discovered It absolutely useful and iit has helped me out loads.